Tag Archives for " Hugh Beaulac "
Advertising is a new luxury. Can you agree with the following: the more you spend on ads, the better for your business? If you think this statement is correct, we have bad news for you then. One of the most common myths many entrepreneurs believe is that they need to spend much money on advertising to promote their product. While advertising costs money, optimizing your online ads helps to achieve business goals even without having much budget. If you want to seek out actionable ways to use advertisement to stand out from competitors, pay attention to recent internet marketing stats as they help you stay one step ahead when creating your ad campaign. Knowing and using these trends will optimize ads to reach a potential audience and increase your ads’ click-through rates without wasting much money. Believe it or not, our attention span is 8 seconds, according to a Microsoft case study. To attract potential customers’ attention, you should be ready to write captivating and clear headlines to hook them fast. Analyze to find out what works best. If you know how to hook customers with your ad, you’re about to win! People are 80% more likely to read content with images. To hook potential customers, choose visuals that might be interesting for your target audience and make them want to click. Pay attention to colors, sizes, and fonts. Colors: every color provokes various emotions, so choose it depending on the context of your message. Sizes: choose the size according to the online advertising type. Fonts: selecting the right font is important, so learn more about the best fonts to use in advertisements. No matter what type of visual content you choose, whether photos, images, or video, try to make it eye-catching. If you’re an aspiring marketer, you can learn from top brands to understand what visuals get more clicks. Checking email is one of the most common work habits modern people have. Just imagine: an average worker receives 121 emails daily! To promote your product with the email marketing, you need to know how to stand out from the crowd. Thus, analyze when to send emails and personalize them! Several surveys claim that the best day to send an email is on a Tuesday, and the worst day to send an email is on a Thursday. Keep a Focus on Google and Facebook. The internet has become a significant part of our daily lives, and we communicate on social media on a regular basis. An average American spends around 40 minutes on Facebook. As the community is growing, more and more brands set foot in promoting their products online as they know that it’s more likely their customers will follow them on social media. In fact, Google and Facebook control 85% of online ad growth. The bottom line? You need to keep a focus on these networks if you want to reach your audience. There are 3.5 billion global mobile internet users as at August 2017, and the number of people who surf the internet from mobile is growing. 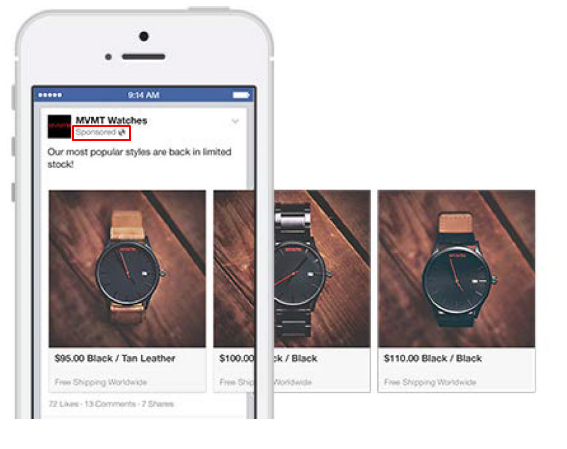 To reach a potential audience and promote your product, optimize your ads for mobile. Publishing mobile-friendly ads help to get more clicks, so think about mobile news feed placement. After all, mobile advertising works well these days, and you can’t miss a chance to make the most out of it. Mobile advertising is booming, and it’s proven that 90% of the time spent on mobile devices is spent in apps. Before launching your mobile app ad campaign learn about ad formats for mobile devices in order not to waste time, money, and effort. Nowadays marketers can make money while people are using their apps. If you want to deliver your message to the audience, put their needs first. Although proficient marketers think about what their customers love, it’s important to know what they hate. Do you know that 79% of people have a negative attitude towards in-banner auto-play video advertising? Having an idea to use this type of advertising, make up alternative ways to promote your product if you want to improve conversions. E-commerce is growing 23% year-over-year, and people prefer to buy goods online. Brands can kill two birds with one stone if they create ads as targeted storefronts. It’s an opportunity to not only promote products but increase sales as well. It’s more comfortable for customers to see the prices and make the purchase decision. Presenting your products as a storefront, you encourage sales all in one ad. To drive more traffic to your website, you need to know when your audience is active online, so timing matters. Most marketers will agree that some days are better for engagement, and knowing time frames for running ads is important. Optimize your ads schedule to reach the maximum audience and get more clicks. Have you ever heard the proverb that first impressions are the most lasting? 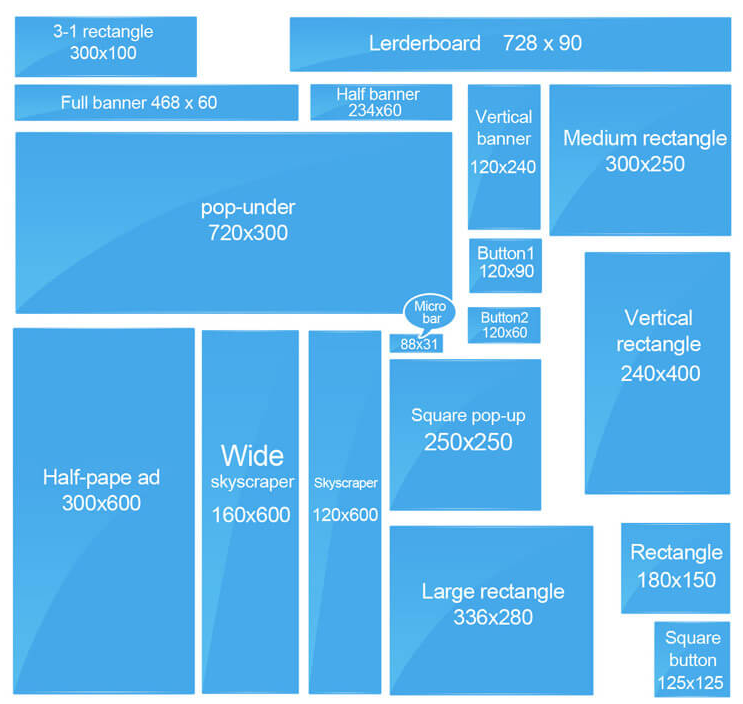 When it comes to running ads, having optimized landing pages is a crucial step. Generate the best-performing campaigns as your customer’s experience (CX) means a lot! To optimize an ad for a better CX, pay attention to its format and context. Customer experience is a key to an amazing business. When creating an ad, are you sure your customers need it? Recent surveys claim that people avoid ads, considering them as spammy content. 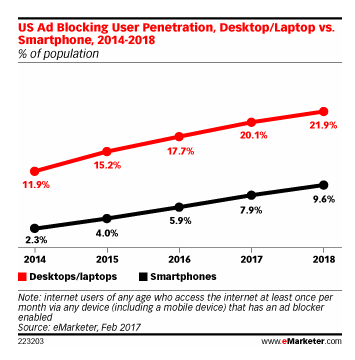 In fact, ad blocking penetration in U.S has reached 27.5%. People calculate the craziest things online, and it’s proven that ad blocking cost businesses over $22 billion in 2015 alone. Thus, marketers should be ready to opt other ways to grab audience’s attention. Looking for options, pay attention to the influencer marketing as it is an actionable and alternative type of product promotion that allows marketers to deliver a message to potential customers with the help of opinion leaders. Collaborating with influencers helps to enter an already-established community, and promotion looks more trustful which means increased loyalty to the brand. Even if you’ve created an effective and successful advertising campaign, keep an eye on current internet trends as they can help you craft better ads. To become a successful marketer, avoid making common mistakes that kill your ads conversation and optimize online ads. Do you know other internet marketing stats that are crucial nowadays? Hugh Beaulac is an aspiring marketer who contributes to various websites to share his knowledge and experience on marketing and social media.